7.ai, a leader for intent-driven customer engagement solutions, announced that it is partnering with Blue Prism on a new joint offering that allows 7 AIVA customers to use Blue Prism’s Digital Workforce to efficiently automate hard-to-access back and front office systems. 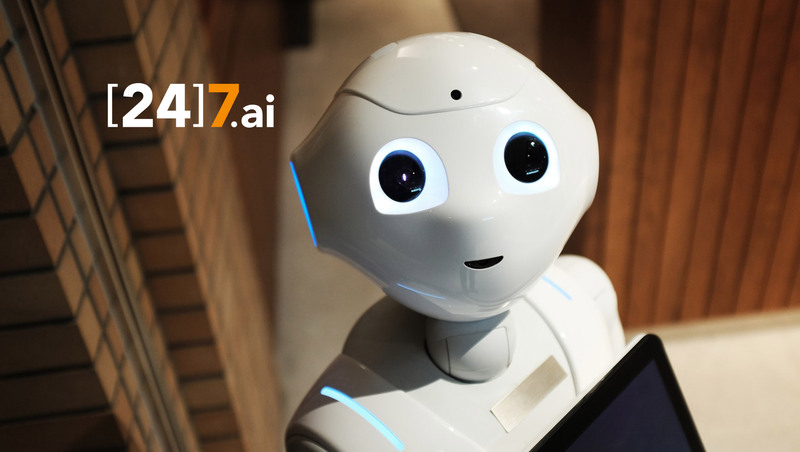 By combining 7.ai AI-powered virtual agents/chatbots with Blue Prism’s Digital Workforce, 7.ai users can automate processes faster, reduce response times and deliver a more satisfying customer experience. Large enterprises possess a wealth of data on their clients, which holds enormous potential to be used to provide consumers with a better customer experience, however, that data is often difficult to access because it often resides in disparate, legacy systems. Through this partnership, it is now possible for enterprises to access this data and analyze it using artificial intelligence, making it now possible to anticipate consumers’ wants and needs. The new joint offering enables 7 AIVA users to process a greater range of transactional capabilities, which results in faster resolution of complaints and inquiries, quick escalation to live agents when needed, better customer engagements and a boost to agent productivity. “Our customers demand a Digital Workforce that will efficiently automate work processes and easily integrate with their other best-in-breed AI-enabled multi-channel solutions,” said Shail Khiyara, Chief Marketing and Experience Officer at Blue Prism. With more than 150 patents and patent applications, 7.ai provides companies with the unparalleled ability to know and act on consumer intent in milliseconds. By applying the power of big data and machine learning, the company has developed predictive models that have been tuned by more than one billion annual interactions. 7.ai now serves more than 250 customers across multiple industries including banking, education, financial services, government, healthcare, insurance, retail, services, technology, telecommunications and cable, travel and hospitality, and utilities. “Advances in AI and its applications in chat and conversational interfaces are making it possible for enterprises to greatly increase digital straight through processing. These are highly complementary technologies to RPA and when combined, the levels of automation can be boosted significantly,” said Sarah Burnett, Research Vice President at Everest Group. Blue Prism complements the workplace with an elastic, multi-faceted and multi-talented digital workforce, helping organizations automate and scale business processes via AI, machine learning, intelligent automation and sentiment analysis. This digital workforce eliminates vendor lock-in by providing access to the best of breed AI technologies and Intelligent Automation skills through the Blue Prism Technology Alliance Program (TAP) that transform how organizations can leverage technology to deliver true operational agility.